By Jake Rocheleau in Internet. Updated on May 28, 2018 . The Speakerdex site is a resource like no other. It curates hundreds of tech talks from all areas like web development, UI design, user experience, and artificial intelligence. Most of these vids are submitted directly by conference organizers but they also include submissions from speakers. No event is too big or too small for inclusion. And this site is totally free to join so it’s a great community for learning. If you check out the search page you can browse through all the currently-submitted talks along with the most common categories. But there’s also plenty of talks on user experience and similar topics too. 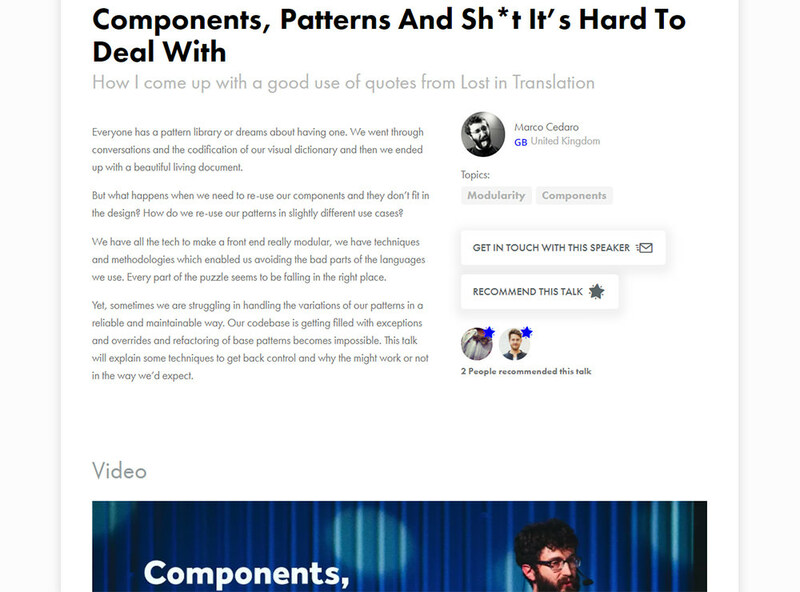 The main video page for each talk boasts of a ton of information. This includes the speaker’s name, their location, all the slides from their presentation along with a contact button to reach the speaker directly. You’ll also find a brief overview of each talk explaining the areas covered and what you can learn if you watch. Have a look at this sample talk page to see what I mean. All videos are embedded from 3rd party sites, primarily YouTube and Vimeo. This makes it super easy to share existing talks you find online to get them included inside the Speakerdex library. If you’ve ever searched YouTube for tech talks then you know how difficult it is to find good results. 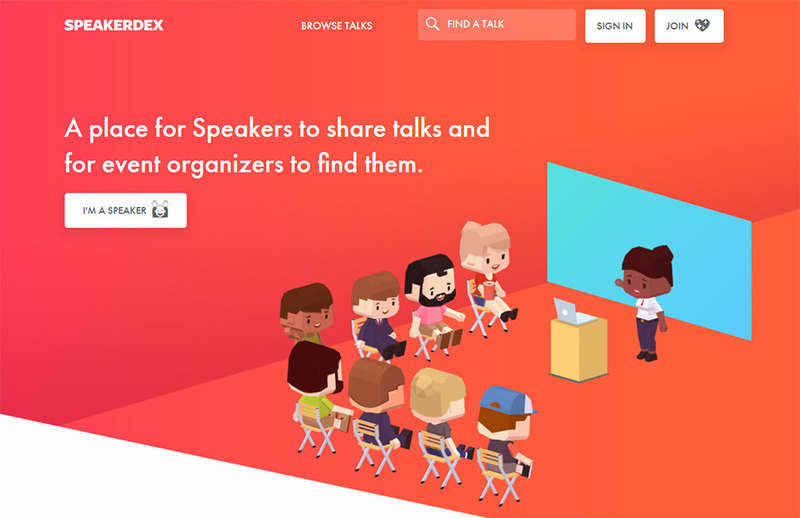 Speakerdex makes it so much easier to find quality content from reputable events that’ll get you excited to sit down and binge some keynotes. If you have suggestions for talks, features, or just wanna share your thanks, you can drop a line to the team on Twitter @speakerdex.